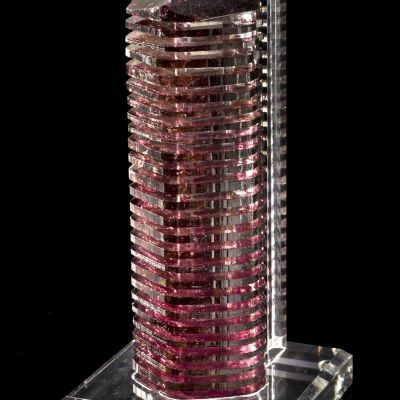 This 31-cm-tall specimen features one of the most dramatic single tourmalines you could ask for, shooting straight up from matrix. 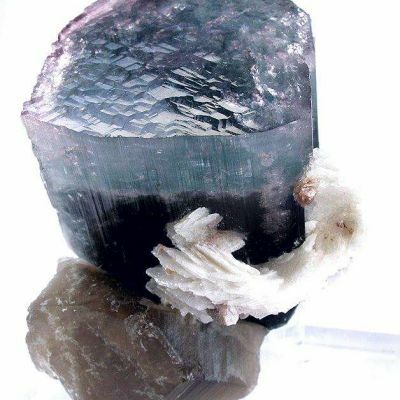 It is a piece from the older workings at Pederneira, not the recent mining of the 1990s-2000's era, as you can see from the difference in style. The tip has rainbow coloration, atop the red stalk. It is lustrous, beautiful and complete all around, except only a very trivial minor restoration. It is hard to decide which view is "front." 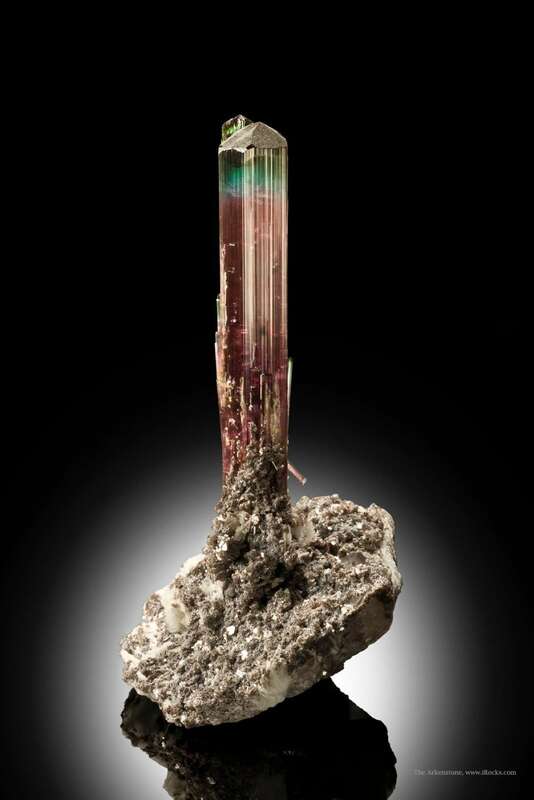 Despite the length of the large crystal, it has only one repair at the base and one on the small secondary termination atop. This is a well-known and iconic specimen, which had disappeared overseas into a private collection about a decade ago and which I was recently able to repatriate. Price on Request. Joe Budd photos.